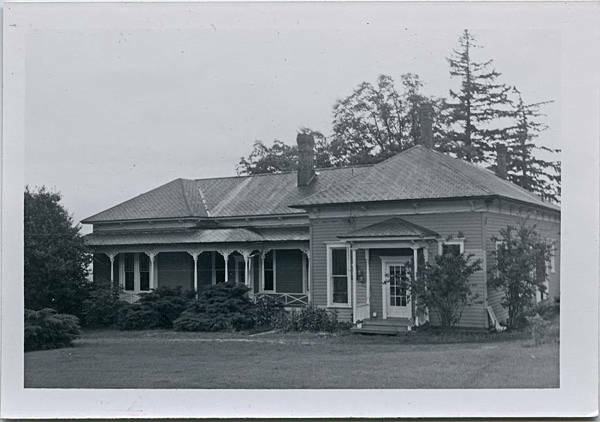 Black and white photograph of a hip-roofed home built in an L-shape. The eaves feature braces and covered porches reminiscent of the Queen Anne revival style architecture cover both the front entrance and the side leg of the house. This bushes surround the house, and three chimneys are visible.